Recently, the image of the newly declared saint, legendary, late Nobel Prize winner, Mother Teresa, has been wavering in society. More and more people seem to think the nun and the sacred image that has been formed about her, do not completely resemble facts, which suggests that this was a well-thought-out step by the public relations of the Catholic Church. The most prominent hesitations by people began in 2013 when Professor Serge Larivée of the University of Montreal with the help of colleague Genevieve Chenard, and Carol Senechal, who has been teaching at the University of Ottawa and has a doctoral degree, began to study Mother Teresa’s life and work. During their investigation, the group of three researchers collected 502 official documents about the activities of the nun, who has been proclaimed a saint, but, after separating the duplicates, there remained 287. The available documents were carefully studied by the group for several years and, finally, they wrote a documentary article outlining the facts, to which the Vatican did not pay attention to when declaring Mother Teresa a saint. Dubious care for patients, suspicious political connections, the potential waste of funds for self-use, and an over-dogmatic approach to abortion, contraception and divorce were all discussed in the publication. 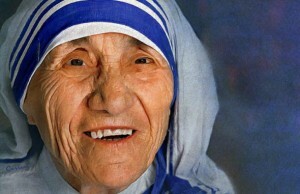 It is proclaimed that Mother Teresa, whose real name is Agnes Gonxha, has carried out 517 humanitarian missions in more than 100 countries; although, according to the scientist’s data, many who visited these places at the same time as the saint, did not find any signs of Teresa’s visitation, and the locals could not testify that the latter had ever visited there, so, the scientists believe, the real number of the missions is half. True, Mother Teresa, received a fair amount of criticism when she was alive, British journalist Christopher Hitchens who actively followed the activities of the nun, described the organization that was founded by the saint as a sect that celebrates suffering and does not truly give the sick assistance, and called her works colonial because of the active pursuit of turning non-Catholics Catholic and baptizing dying people without respect for their religion and free choice. Another critic – Dr. Robin Fox, editor of the British medical journal ‘’The Lancet’’, visited the Mother Teresa Foundation hospice, named “Home for the Dying,” in 1991, he described the medical care of patients as “hopeless” there. Hundreds of people travelled to the hospice seeking help and hoping for free medical attention that would help save their lives. However, it became clear the institution in which assistance should have been given to the poor had absolutely no suitable conditions for the care of sick patients, and it lacked not only people with qualified medical education, but also simple hygiene, food and medicine. Most interesting is the fact the reason for this was not a lack of funds (the charity foundation created by Mother Teresa had raised hundreds of millions of dollars at the time), and the saint’s understanding of suffering and death: ‘’ I think it is very beautiful for the poor to accept their lot, to share it with the passion of Christ. I think the world is being much helped by the suffering of the poor people.’’ – this was her answer to the critic’s indignant opinions after the facts came to light. Ironically, but when she needed medical attention and care, Teresa chose one of the most expensive American hospitals that had the most expensive equipment and the best specialists in the country. Many discussions are raised regarding her foundation to which millions of people and companies donated to. Many thought that Mother Teresa was very generous with her prayers for the contributors, but was stingy with the money for the poor, which should have been given to them. More than once, visiting flood-ravaged India, or Bhopal after the plant pesticide factory explosion, she offered victims Hail Mary’s and holy medallions; however, she did not provide any direct or monetary assistance that people needed most at the time. On the other hand, she did not hesitate to accept the Haitian Legion d’honneur award from the hands of corrupt dictator Jean-Claude Duvalier and to announce him as a friend of Haiti’s poor, which raises a few questions about the woman’s political clarity. After considering all the disturbing facts, this raises the question: how did Mother Teresa manage to create such a holy and infinitely good image? Based on the previously mentioned data, her popularity started to rise from the 1968 meeting with BBC journalist Malcolm Muggeridge who was an active Catholic and admired her preachings about banning abortion. He was the first who decided to encourage the nun to speak about her work and actively use the power of publicity. Knowing the possibilities of media and having various kinds, Malcolm helped Mother Teresa appear on television, on the covers of magazines, and to become the person everyone is talking about. The decision by the Vatican to abandon the five-year waiting period and to proclaim the woman as a saint as fast as possible after her death heightened her popularity even more. This verdict was encouraged by Catholic Monica Besra’s story, according to which, Mother Teresa’s blessing and holy medallion healed her of terrible stomach pains that she had suffered from for a long time. Of course, Monica’s doctors produced another version of the ‘miraculous’ healing, they state the woman had tuberculosis and had an ovarian cyst, and the pain went away when she started to use painkillers. However, the Vatican concluded that this was a miracle. Mother Teresa was so popular, that she became indispensable to people who declared her a saint faster than the Roman Pontiff. ‘’What else could revive the church more and inspire believers, than a woman known by all being declared a saint? Especially when churches are becoming emptier, and the influence of Rome on society is diminishing?’’ – asks Serge Larivée and his colleagues in their article.